Sankalp Business School, Pune offers higher education of superior standards to transform the students to future leaders of the nation. Sankalp Business School assess the students on the basis of real life skills such as research, teamwork, presentation and initiative, enriching the creativity where in new ideas can be nourished, new discoveries can be initiated and new creations can be developed. 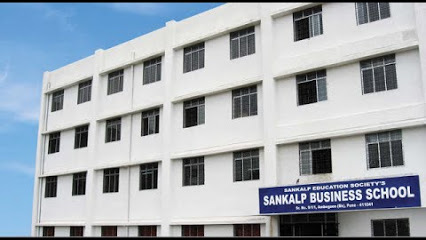 Sankalp Business School focus on developing leadership quality and personality development by dedicated and experienced faculties, facilitating world class infrastructure, placements, industrial visit, seminars, computer labs and library and exposes the candidates to the challenging business world. Sankalp Business School is approved by AICTE, New Delhi. Sankalp Business School is affiliated to University of Pune. Sankalp Business School offers professional management courses like MBA and PGDM. Elective subjects like Marketing Management, Finance Management, Information Technology, Operations Management, Human Resource Management, Supply Chain Management, Rural & Agri-business Management, Family Business Management and Technology Management are provided in MBA course where as PGDM have specializations in Material & Logistics Management, Foreign Trade Management, Marketing Management and Import & Export Management to provide multi, inter and cross disciplinary modular programs with technology enables learning process. Write Your Reviews on "Sankalp Business School"
Are you Interested inSankalp Business School"? Please provide the following details. Ask Question on "Sankalp Business School"?